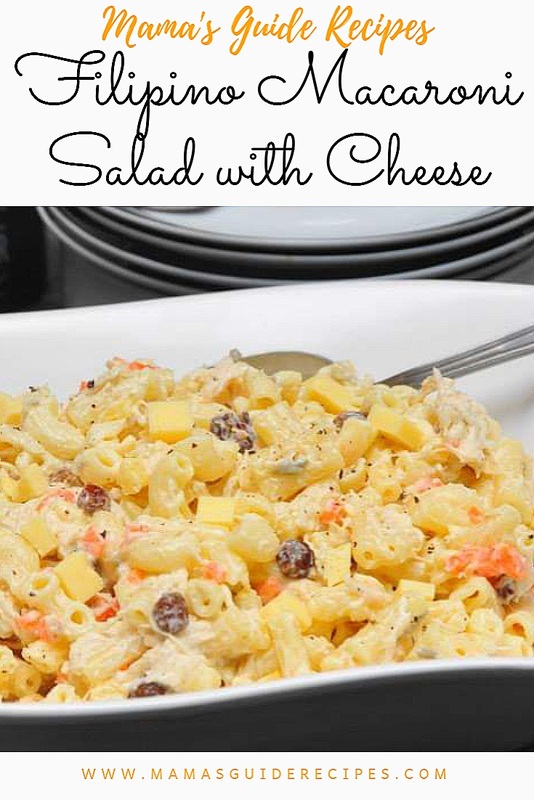 Want to know the secret to a delicious Chicken Macaroni Salad? The secret is also in the ingredients. Instead of boiled chicken you may use roasted chicken. The added smokey flavor on your salad makes it extra flavourful. Sounds yummy right, but it taste even better! Also, use the best brand of mayonaise that is not “maanta” or too oily. I always use Japanese mayonaise. But if I’m feeling frugal, I use the regular brand of mayonnaise (Ladies Choice or Best Food). Finaly, the key secret is love, your passion for cooking that makes any macaroni salad more delicious than any other. 1. Prepare to cook elbow macaroni pasta and follow package cooking instructions. 3. Drain water and remove carrots. Set it aside to let it cool. Peel the carrots and dice it in small pieces. 5. Prepare the chunks of pineapple in can and drain the liquid. 6. In a large mixing bowl, start with the mayonnaise and seasoning first. Mix mayonnaise, onions, salt, pepper, sugar, pickle relish. 7. Stir it well until you get the perfect taste and the seasoning are well incorporated. 8. Add in the rest of the ingredients and toss it to combine. 9. Cover bowl and refrigerate. Serve and enjoy!